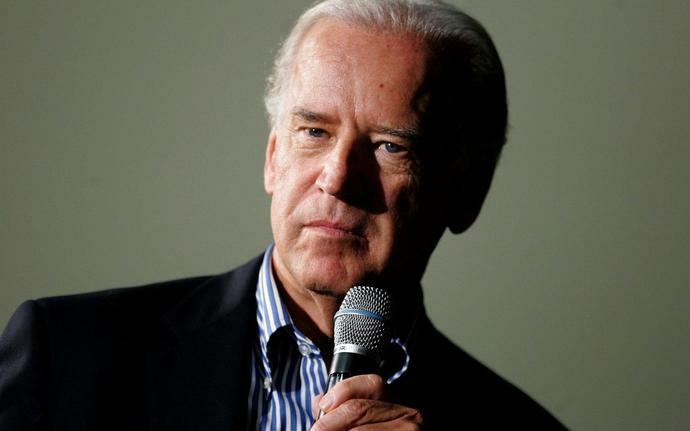 Joe Biden, one of the favourites to win the 2020 Democratic nomination, appeared to announce his presidential candidacy over the weekend - before retracting his remarks. Addressing 1,000 Democrats in Delaware, his home state, the 76-year-old former Vice President told his audience that his record was the most progressive "of anyone running for the United ...". He corrected himself quickly, saying "anybody who would run." But it was too late: his audience burst into applause in response to what they believed was an announcement of a presidential run. A rather embarrassed Mr Biden said, "I didn't mean that," before crossing himself. It may have been a slip of the tongue, but in recent days Mr Biden has been stoking up speculation that he is ready to take on Donald Trump, having sat out the 2016 campaign following his son's death. He dropped a less than subtle hint when addressing the International Association of Firefighters - many of whom were waving "Run Joe Run" placards - last week. "I appreciate the energy you have shown here, save it a little longer, I may need it in a few weeks. Be careful what you wish for." Even though he has yet to declare himself as a candidate, Mr Biden is leading a raft of polls ahead of Bernie Sanders, the left-wing Vermont Senator who ran Hillary Clinton close in 2016, and Senator Kamala Harris of California. There is a growing sense that it is now a matter of when rather than if Mr Biden will throw his hat into the ring. "I have known Joe Biden for a long time and I think he will run," said Lou D'Alessandro, a politician in New Hampshire, which holds the first Democratic primary next year. Over the past few weeks, New Hampshire has seen a procession of Democratic candidates meeting voters as they try to steal a march on their rivals. "I do think he is leaning towards running. He has a lot of friends in New Hampshire from his many years in public life," Mr D'Alessandro told the Telegraph. "I am sure there are people in place. It would not take long to get an organisation up and running."